Lirstal is a small village at 9 km. from the historical city Ulmen and 20 km. from the city Daun. It has a rural setting with many excursion possibilities. Many lovely walking- and biking trips can also be made through the sloping landscape of the Eifel. 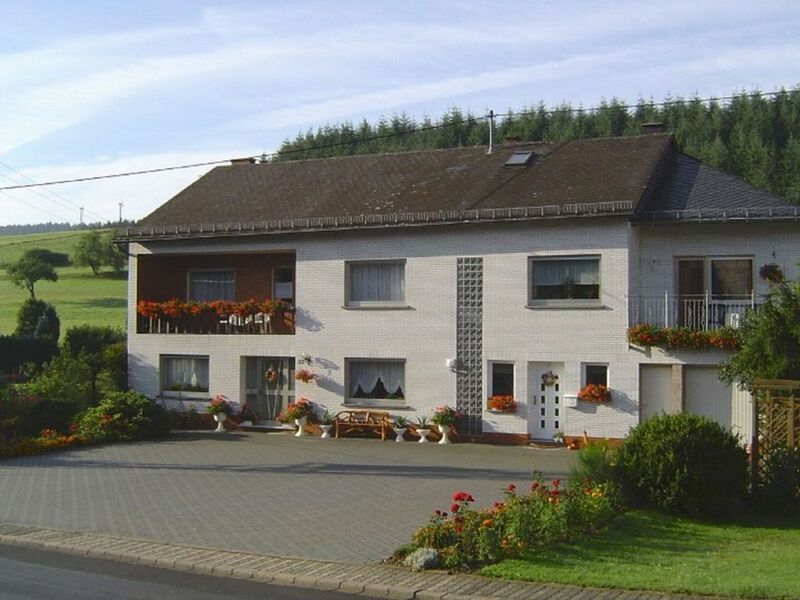 Holiday house Mohr is lovely and peacefully situated in the village centre of Lirstal. Situated on the 1st floor you will find the very complete and of a good standard furnished house on the sunny side of the house. The house has a surface of 80 m² and has its own entrance. On you own balcony (with garden furniture) you can nicely enjoy the sun and the view. The house also has a winter garden with sitting area. In the garden, the owner has saved a spot for you with garden furniture, sun screen and barbeque. In this beautiful house you will lack nothing. Wir waren sehr zufrieden mit unserer Ferienwohnung und können sie weiterempfehlen Wir sind sehr nett vom Vermieter empfangen wurden, auch während unseres Aufenthaltes hatten die Vermieter immer ein offenes Ohr für uns und gaben uns auch viele Informationen. Sie waren sehr interessiert ,dass es ihren Gästen gut geht. Die Wohnung ist sehr liebevoll eingerichtet und es ist alles vorhanden was man benötigt. Die Küchenausstattung war sehr umfangreich , es hat an nichts gefehlt. Wir haben den Aufenthalt sehr genossen und schöne Urlaubstage verbracht.